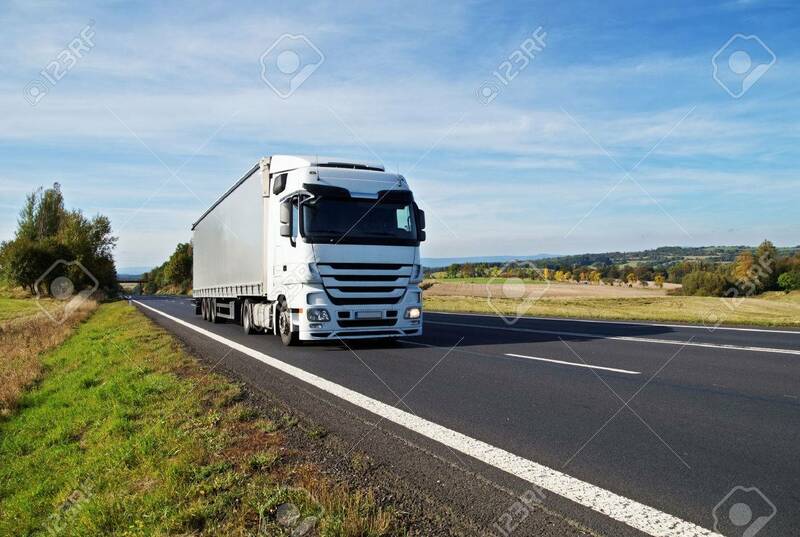 White Truck Travels On The Asphalt Road In The Countryside. Fields, Meadows And Trees In Early Autumn Colors In The Background. Фотография, картинки, изображения и сток-фотография без роялти. Image 43880718. Фото со стока - White truck travels on the asphalt road in the countryside. Fields, meadows and trees in early autumn colors in the background. White truck travels on the asphalt road in the countryside. Fields, meadows and trees in early autumn colors in the background.